Dr. Lior Noy is trained as a computational neuroscientist. He earned his Ph.D. from the Weizmann Institute of Science, and holds a M.Sc. in computer science and a B.Sc. in computer science and psychology. In 2007, Lior established 'Weizmann Playback', a group of 15 faculty and students at the Weizmann Institute training and performing in Playback Theatre, a community-centred improvisation form based on real-life stories. Since 2008 Lior is studying group improvisation and creativity using a natural science approach. He started this project at Harvard Medical School and continued with it at the Weizmann Institute. In 2011, together with Prof. Uri Alon, Lior co-founded the Theatre Lab at the Weizmann Institute, a meeting place of the performing arts and the natural sciences. 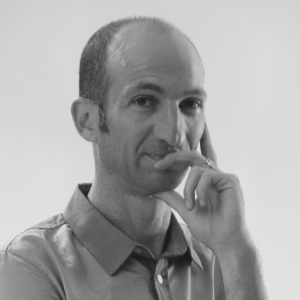 In addition to his scientific work, Lior teaches numerous improvisation and creativity workshops in academia, government and the private sector in Israel.